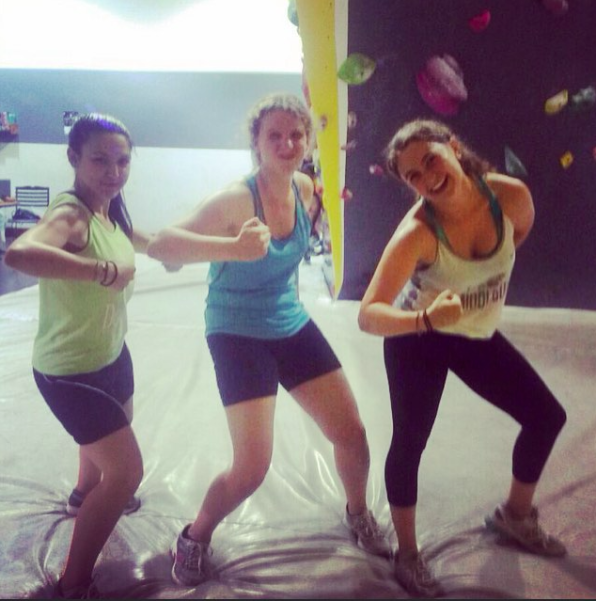 Today’s participant blog post comes from Brittany Silver, a participant in the Yahel Social Change Program. 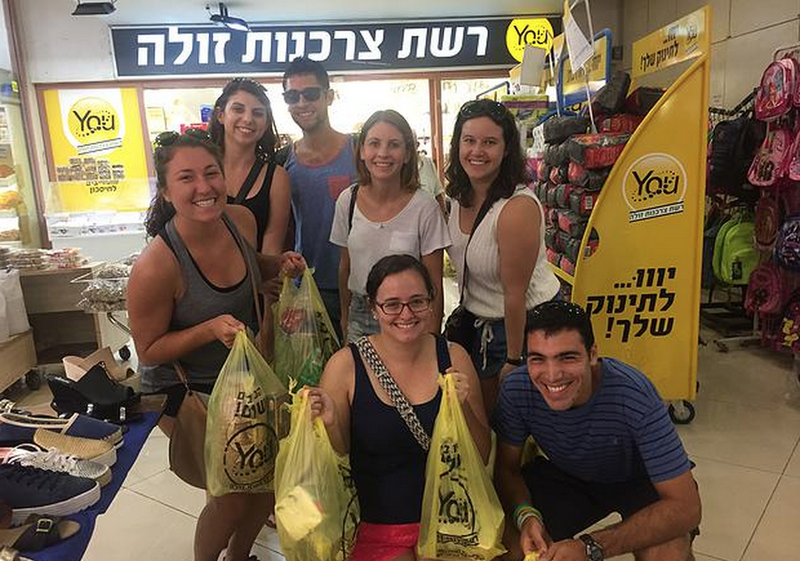 Brittany’s group is living, learning and volunteering in Ramat Eliyahu, Rishon LeZion, Israel for 9 months this year. This post was taken from Brittany’s personal blog, which can be found here. Deciding to pick up and move to Israel for a year was an easy decision. This was the next step in my life after graduating from university (Carleton – Go Ravens!). I knew that after finishing school, I had a responsibility to myself and the world to give back. Nonetheless, I had huge expectations. I was going to change the world! Based on my background in social justice, I was lucky to have found a program such as Yahel, which incorporated assisting community leaders with major social initiatives, and giving my thoughts and (Canadian!) perspective towards creating sustainable and positive change. I was excited to embark on this incredible and challenging journey with 15 other motivated young adults from around North America. On September 20, 2015, (after being jet lagged for three days!) our bus arrived in Ramat Eliyahu, the neighbourhood that would become our home for the next 9 months. As we arrived in the middle of holiday season, we had plenty of time to explore the neighbourhood in its most beautiful state. 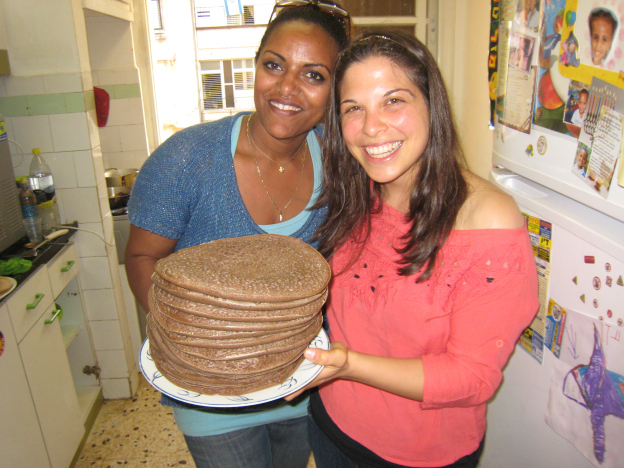 The warmth of the Ethiopian elders and the delicious smell of Injera greeted us. Parks with children playing football, and fruit and vegetable markets lined the streets. It was incredible, what a warm neighbourhood, I thought. Nearly a month after beginning the program, we began our placements. I started working in an elementary school, teaching 4th, 5th, and 6th graders English, as well as after school programming, and tutoring. I was busy everyday, delving into the complexities within this specific neighbourhood; talking to the children, teachers, parents and staff about life as Ethiopian-Israelis in Ramat Eliyahu. My fascination about culture, language, customs and history of the Ethiopian Jews grew everyday. 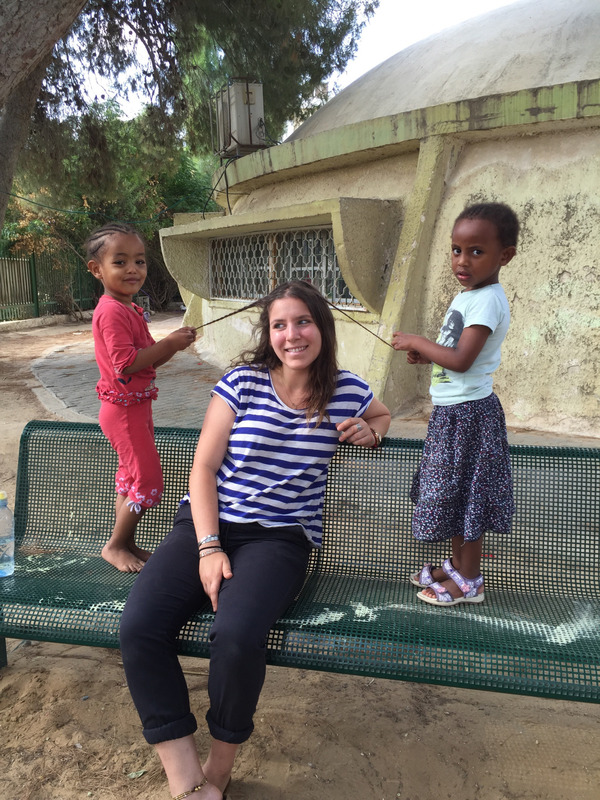 As I began to understand life here in Ramat Eliyahu and the history of the Ethiopian Jews, my heart slowly broke. 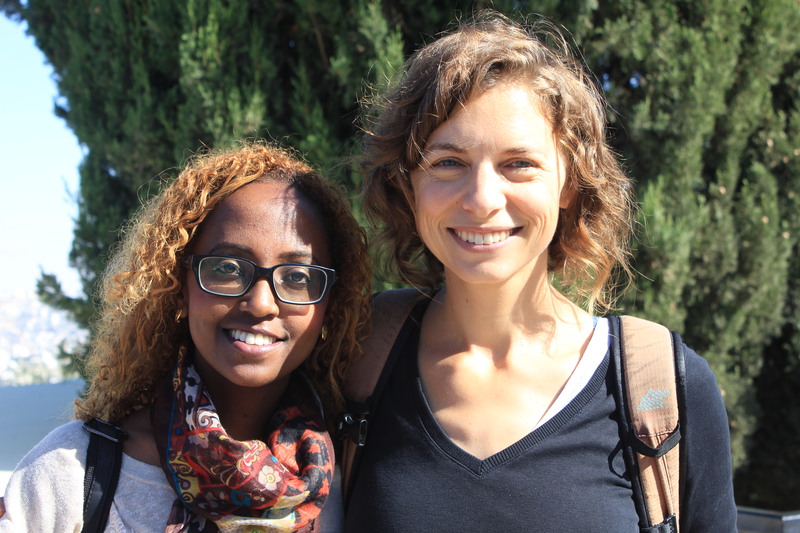 I learned the hardships and unbearable struggles of individuals who traveled from Ethiopia to Israel. I learned about their strength, courage and determination to make a Jewish life for themselves and their families. We had discussions with specific individuals within the community that would tell us their memories in refugee camps, or their memories of the family members that they lost along the way. We heard stories that humbled us to the core. I was determined to dig deep into this neighbourhood’s identity to help me understand how I could be the most useful to the people within this community. That’s when reality kicked in. Racism, unequal opportunities, prejudice – I could go on forever. I couldn’t believe it. It became more obvious once I was aware of it – lack of education led to racism; unfair treatment at schools and workplaces led to unequal opportunities; and ignorance led to prejudice. As a group we discussed different ways to empower the younger generation of Ramat Eliyahu to take pride in their history, and all that their beautiful culture has to offer. Local initiatives within the community showed us the enormity of these tasks. Taking on the entire community, family by family, child by child; every person deserved a voice. Up until now, I have purposely left out discussion on a major part of this equation. We’re in Israel. As stressful, happy, sad, exciting, and positive as Ramat Eliyahu can be, we’re still in Israel, and the complexities here are a stress load of their own. With the growing influence of terror, it became difficult to know where to disperse my energy. I found myself lost in negativity. How can I help this community if I can’t help this country? How am I making an impact on issues that are so much bigger than myself? I’m just one person! And that’s where the title fits into the story. A few days ago my roommates and I discussed our roles here in Israel, and their purposes. We can’t see ourselves as the small picture in the big picture of things, but rather the big picture in the small picture. We’re not just volunteers in Israel. We’re the teachers for the students at our schools, we’re the positive relationships for our host siblings, we’re the source of empowerment to the young people in Ramat Eliyahu – because for us, Ramat Eliyahu is our picture. 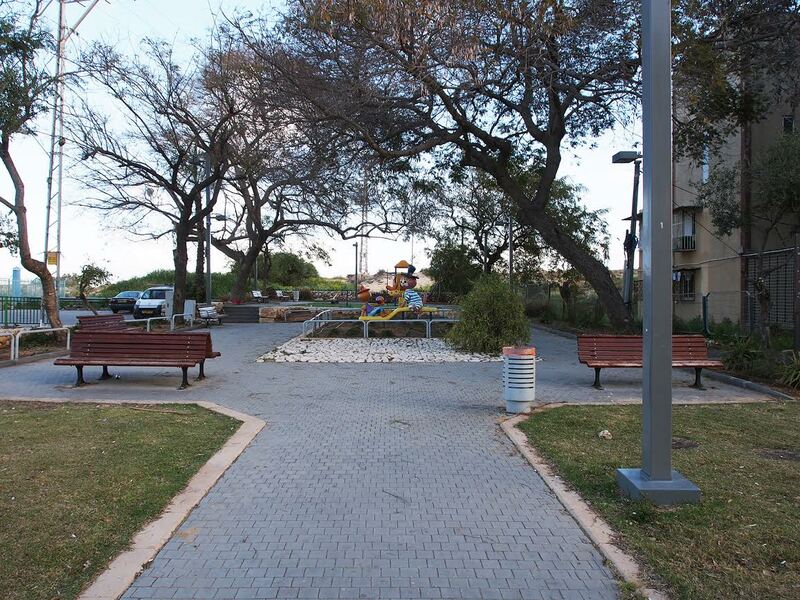 Instead of being a small presence in Israel, we’re a big presence in Ramat Eliyahu. Just today, Dana (Executive Director of Yahel) reminded all of us why we’re here. There are umpteen injustices that happen here and everywhere, everyday. But we as leaders have to start somewhere, and we chose here. Thank you Dana, for that much needed encouragement.